Microsoft Word 2010 makes it easier to collaborate and to navigate through long documents. For more impact, new features focus on the polish of your finished document. With this new version, you can access the richness and familiarity of Word in your browser and on your mobile phone. In Word 2010, you have the power and familiarity of Word everywhere you need it. You can view, navigate, and edit your Word documents from the browser and from your mobile phone without compromising your document's richness. If you have Windows Phone 7, you can use Microsoft Office Mobile 2010 to work with your files from anywhere—whether you’re at work, at home, or on the go. Word Mobile 2010 is part of Office Mobile and already on your Windows Phone 7 in the Office hub, so you don't need to download or install anything else to get started. You can use Word Mobile to view and edit documents stored on your phone, sent to you as email attachments, or hosted on a SharePoint 2010 site through SharePoint Workspace Mobile 2010. When you edit a document via SharePoint Workspace Mobile, you can save your changes back to the SharePoint site when you’re online. With Word Mobile, you can create or update your documents using many of the same formatting tools that you already know and use in the desktop version of Word, add comments, and use the new outline pane to quickly jump to a heading or comment. 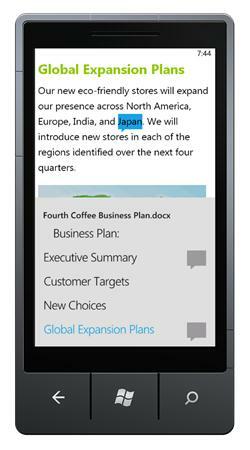 Read more about Office Mobile 2010 for Windows Phone 7. Even when you're away from Word, you can store your documents on a Web server and use the Word Web application to open the document in your browser. You'll be able to view it and even make changes. For more information, see Introduction to Word Web App. Word 2010 pairs its functional features — such as tables, headers and footers, and style sets — with eye-catching effects, new text features, and easier navigation. 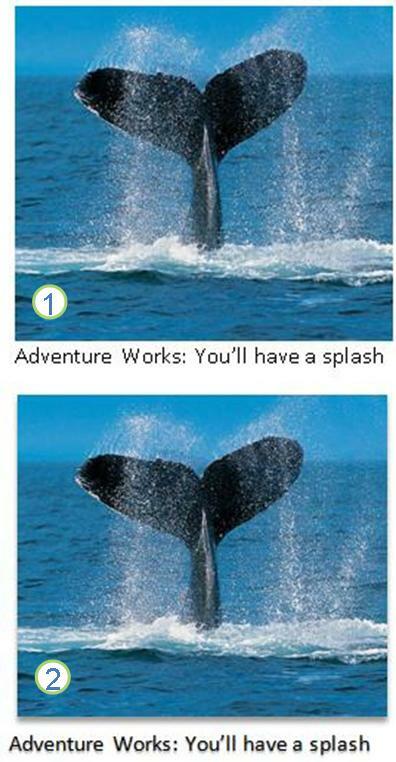 Word 2010 provides artistic effects for both pictures and text. And when you apply the effects to text, you can still run spell check. Word 2010 provides support for advanced text-formatting features that include a range of ligature settings and your choice of stylistic sets and number forms. You can use these new features with many OpenType fonts to achieve that extra level of typographical polish. 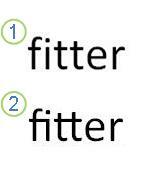 For more information, see OpenType options in the Font dialog box. 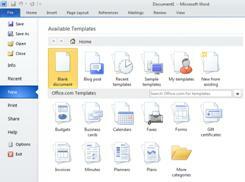 Word 2010 offers several other improvements to help you in your document authoring. Now you can add quickly add a check box to forms or lists. In Word 2010, you can add a title to a table and a summary, so that readers have access to additional information. In Word 2010, you can quickly find your way around long documents. You can easily reorganize your documents by dragging and dropping headings instead of copying and pasting. And you can find content by using incremental search, so you do not need to know exactly what you are searching for to find it. Move between headings in your document by clicking on the parts of the document map. Collapse levels of the outline to hide nested headings, so you can work easily with the map even in deeply structured and complicated long documents. Type text into the search box to find your place instantly. Drag and drop headings within your document to rearrange the structure. You can also delete, cut, or copy headings and their content. Easily promote or demote a given heading, or a heading and all of its nested headings, up or down within the hierarchy. Add new headings to your document to build a basic outline or insert new headings without having to scroll around in the document. Stay aware of the content being edited by others by browsing the headings that contain a co-authoring indicator. See thumbnails of all the pages in your document and click on them to move through your document. Word 2010 brings many graphic enhancements to your work, so you can easily make the impact you want. 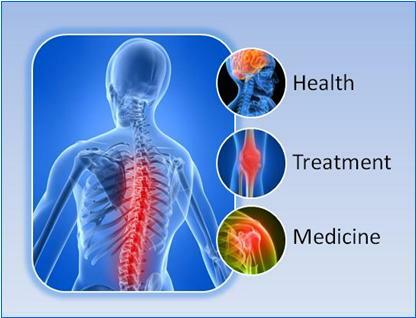 In Word 2010, you can use the new SmartArt graphics picture layouts to tell your story with photographs or other images. Just insert your pictures in the SmartArt shapes of your picture layout diagram. Each shape also has a caption where you can add descriptive text. Even better, if you already have pictures in your document, you can quickly convert them to a SmartArt graphic, just like you can with text. Insert the SmartArt graphic picture layout. Word includes several different picture layouts to choose from. With Word 2010, you can now apply sophisticated "artistic" effects to your picture to make the picture look more like a sketch, drawing, or painting. It's an easy way to enhance your images without using additional photo-editing programs. Some of the 20 new artistic effects include Pencil Sketch, Line Drawing, Watercolor Sponge, Mosaic Bubbles, Glass, Pastels Smooth, Plastic Wrap, Photocopy, and Paint Strokes. You can now transform your images into compelling, vibrant visuals by fine-tuning the color intensity (saturation) and color tone (temperature) of a picture. You can also adjust brightness, contrast, sharpness, and blurriness, or you can recolor the picture to better match your document content and to make your work pop. Another advanced picture editing option in Word 2010 is the ability to automatically remove unwanted portions of a picture, such as the background, to highlight the subject of the picture or to remove distracting detail. Use the new and improved picture-editing tools to trim images and get just the look that you want. Now you have better control of the image quality and compression trade-offs so that you can make the right choice for the medium (print, screen, or e-mail) that your document is used for. Quickly add screenshots to capture and incorporate visual illustrations into your work in Word 2010. After you add the screenshot, you can use the tools on the Picture Tools tab to edit and enhance the screenshot. When you reuse your screenshots across documents, take advantage of the Paste Preview feature to see what your additions will look like before you drop them in. You can now use, submit, and find thousands of new pieces of community clip art, in addition to the images, videos, and other media you can add to your document. You can see who submitted pieces of community-submitted clip art and report if the images are inappropriate or unsafe. The improved inking feature in Word 2010 lets you make ink annotations on your document on your Tablet PC and save those ink annotations together with the document. In Word 2010, you can customize your workspace so that the commands you use often are all together. You can also access earlier versions of your document, and you can more easily work with text that's in other languages. You can use customizations to personalize the Ribbon, which is part of the Microsoft Office Fluent user interface, to be the way that you want it. You can create custom tabs and custom groups that contain the commands you use most frequently. In the Microsoft Office Backstage view, you do everything to a file that you do not do in the file. The latest innovation in the Microsoft Office Fluent user interface and a companion feature to the Ribbon, the Backstage view is where you manage your files — creating, saving, inspecting for hidden metadata or personal information and setting options. It is now easier to recover a Word document if you close your file without saving, or if you want to review or return to an earlier version of the file you're already working in. As with earlier versions of Word, enabling AutoRecover will save versions while you are working in your file at the interval you select. Now, you can keep the last autosaved version of a file in case you accidentally close that file without saving, so that you can easily restore it the next time that you open the file. Also, while you are working in your file, you can access a list of the autosaved files from the Microsoft Office Backstage view. When you turn on the Mini Translator, you can point to a word or selected phrase with your mouse and see a translation in a small window. The Mini Translator also includes a Play button so you can hear an audio pronunciation of the word or phrase and a Copy button so you can paste the translation into another document. You don't even need the language pack, language interface pack, or proofing tools installed on your computer to see a translation in that language. For more information, see See translations with the Mini Translator. Multilingual users can easily access a single dialog box where you can add languages and set the display, ScreenTip, and Help languages. If you don't have the software or keyboard layout installed that you need, you are alerted and links are provided to make it easier to solve the problem. For more information, see Add a language or set language preferences in Office. 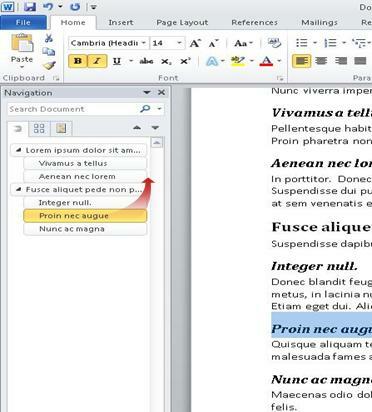 Word 2010 helps you to work with your colleagues more efficiently. Word 2010 also includes features to keep your information more secure when you share your work, and to keep your computer more secure from files that might not be safe. In Word 2010, you can work together right within Word. You do not have to send with e-mail attachments or save draft documents with names such as TSP_final_2_FINAL.docx. Instead, just open your document, and start to work. You can see who else is working with you, and where they are editing. When you open a shared document, Word automatically caches it so that you can make changes to it offline, and then Word automatically syncs your changes when you come back online. When you must work away from the office, you no longer have to worry about saving local copies or manually merging your changes into the server document when you return to your office. Multiple authors can edit a single document at the same time and stay in sync with each others' changes. Authors can block access to document regions while they are working on them. In Protected View, files are opened with editing functions disabled. Files from a potentially unsafe location, such as the Internet or an e-mail attachment, or that contain active content, such as macros, data connections, or ActiveX controls, are validated and can open in Protected View. Files from trusted sources can be enabled by clicking Enable Editing, or data about the file can be explored in the Microsoft Office Backstage view. Before you share your document with other people, you can use the Document Inspector to check the document for hidden metadata, personal information, or content that might be stored in the document. The Document Inspector can help you ensure that the documents you share with other people do not contain any hidden personal information or any hidden content that your organization might not want distributed. Additionally, your organization can customize the Document Inspector to add checks for additional types of hidden content. Before you share a final version of a document, you can use the Mark As Final command to make the document read-only and let other people know that you are sharing a final version of the document. When a document is marked as final, typing editing commands, and proofing marks are disabled, and people who view the document cannot unintentionally change the document. The Mark As Final command is not a security feature. Anyone can edit a document that is marked as final by turning off the Mark As Final feature. Accessibility Checker helps identify and resolve accessibility issues in your documents, so that you can fix any potential problems that might keep someone with a disability from accessing your content. If your document has any accessibility issues, the Microsoft Office Backstage view displays an alert that lets you review and repair any issues in your document, if necessary. You can see the alert by clicking the File tab. Under Prepare for Sharing, click Check for Issues, and then click Check Accessibility.